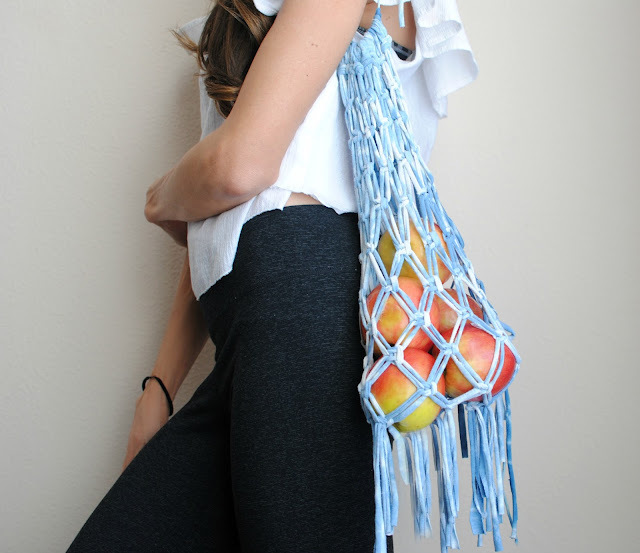 It's Earth Day, (although that's every day here) and what better way to celebrate than with an upcycled project tutorial! Our goal at Trash to Couture is to inspire a less wasteful approach to the mass-produced fashion mainstream by designing tutorials using repurposed materials whenever we can. Lately I've been inspired to upcycle unrepairable items that should be thrown out into practical items. 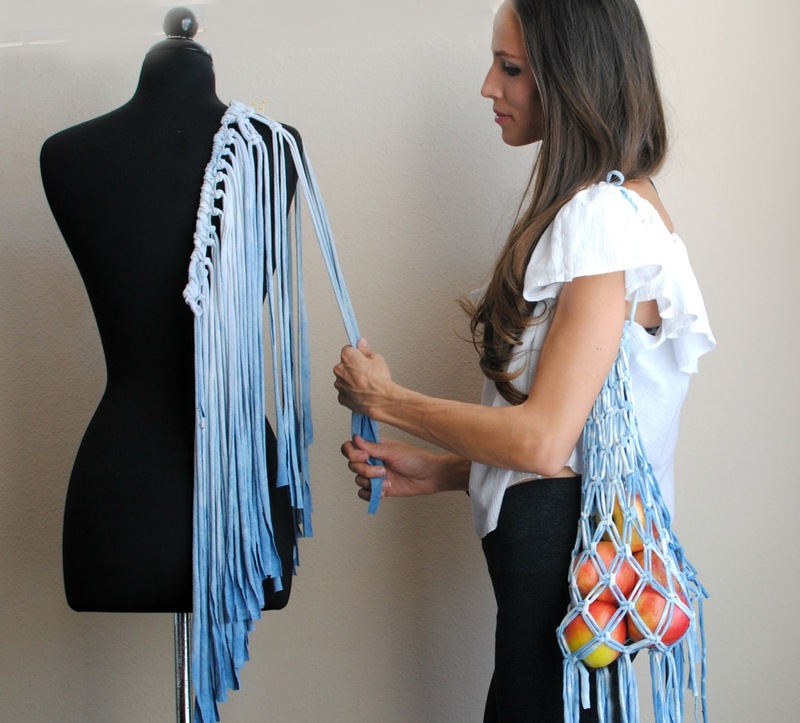 We've partnered up with Péla case to show you how to make this macramé tote bag from a worn out t-shirt. 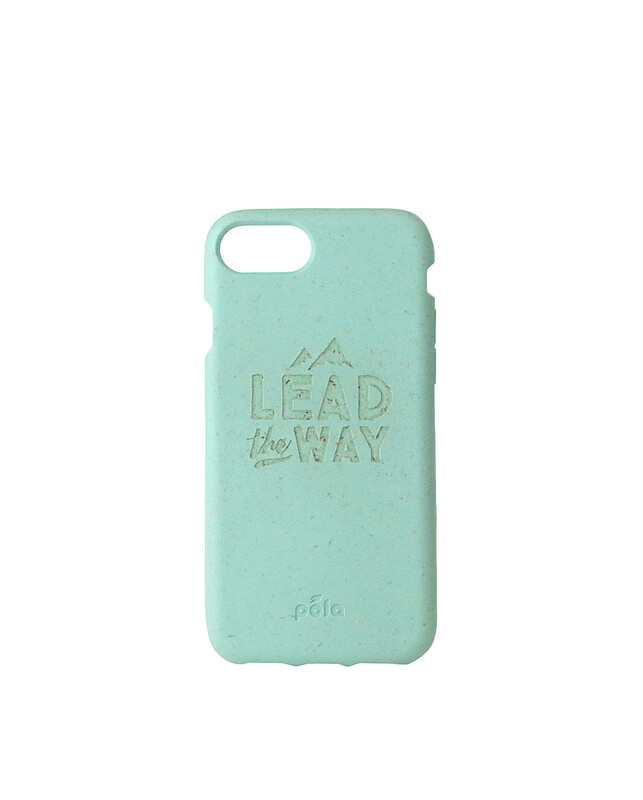 Péla Case is on a mission to show people how a sustainable and eco-friendly plastic alternative can look and feel. The cases are made from renewable plant-based and recycled materials, designed to be strong enough to protect your phone, but formulated to be 100% compostable after you no longer need it. They're NSF tested to be free of BPA, lead, and cadmium because products you use should be safe for you, your family, and the planet! Make your own trendy macramé market bag with our video tutorial! 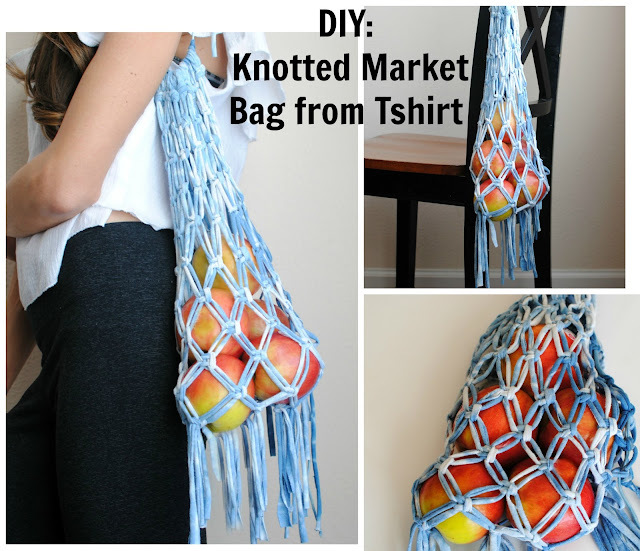 Knot the strings closer for smaller produce or go big for a beach day bag. Even better make one to for your engraved Péla Case covered Iphone and carry inspiration with you! Either way this cool bag will stand out and when someone asks where you got it from, you can say with pride my "husband's old t-shirt!" Check out the new engraved cases and carry inspiration with you! Reused materials are always amazing in new things. According to Browns English Language School center, each reused T-shirt saves our planet from pollution and gives a chance to start a reusable society. These are arguments I use to write my college essays on Environment. You shouldn't just believe that your phone isn't hacked. Read this link https://besttrackingapps.com/how-to-tell-if-cell-phone-is-tracked/ and make an action first before your phone would got hacked! This article is very good, I also read a lot of posts, but I feel most impressed is your article. thank you for sharing. we have found out and gonna share with you windows 10 product keys, serial keys that are guaranteed to work 100%. You can activate almost all versions of Windows 10 using our activation key provided below. With these key, you can activate Windows 10 Home Premium, Windows 10 Professional and Windows 10 Ultimate.